Float switch for water level sensing, can be used to design water tank overflow alarm system. This sensor has a moving ring on a cylindrical body. 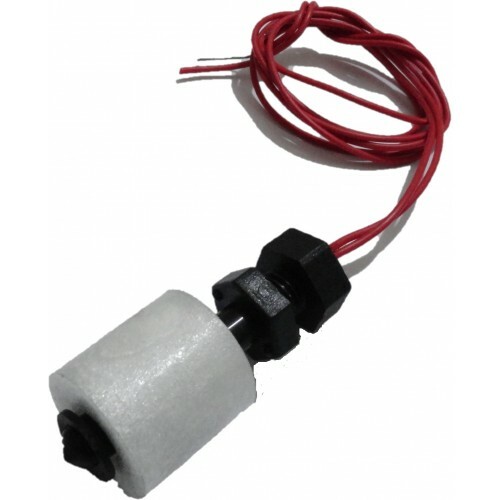 A reed switch is housed inside the central cylinder which senses the movement of outer ring under the influence of buoyant force of raising water level. This is NO type switch which closes on sensing of raising water level.